Passenger vans are a popular mode of transportation for groups of between 10 and 15 passengers. In particular, the 15-passenger van is a common conveyance for church groups, sports teams and tourists. They are convenient and often more cost-effective than flying or taking several smaller vehicles separately. They are also quite dangerous. 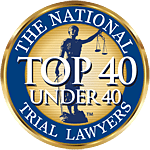 Bus accident attorneys at Associates and Bruce L. Scheiner, Attorneys for the Injured, recognize there is ample data from the National Highway Traffic Safety Association to raise concern. These vehicles are often driven by inexperienced motorists, they may be poorly-maintained, tires are often underinflated or worn, overloading of passengers is a frequent problem and there is a higher center of gravity, which raises the risk of a rollover accident. The NHTSA analyzed passenger van accident data from a recent four-year stretch and found the more people piled into the vans, the higher the risk of a crash. For example, passenger vans loaded with 10 or more people were almost three times more likely to rollover than vans carrying fewer than five passengers. That’s why these vehicles should never be overloaded. Unfortunately, far too many operators fail to heed this important warning. Especially troubling is the fact that these types of accidents appear to be on the rise. In 2007, occupant deaths in 15-passenger vans in all types of collisions increased by almost 20 percent from just a year earlier. In crashes that involved a roll-over, occupant fatalities rose by nearly 75 percent. Unlike buses, which typically aren’t equipped with seat belts, passenger vans do have seat belts, but most passengers don’t use them, according to the NHTSA. In fact, about 88 percent of people killed in passenger vans weren’t wearing safety restraints. Whether the driver was operating while fatigued. Whether the driver had been adequately screened and properly trained. Whether the drive had been under the influence of drugs or alcohol. Whether the vehicle was improperly loaded or overloaded. Whether the van or its equipment was improperly or poorly maintained. Passenger vans are substantial vehicles that handle differently than light trucks or small cars. Their dimensions are quite different, and especially when the vehicle is overloaded, it can create instability that makes it more likely the driver will lose control while carrying out an emergency maneuver. Although the government now requires all new-model passenger vans come equipped with electronic stability control, which helps drivers keep control when the van starts to skid, most older models don’t have this feature. Adding to the danger is the fact that many drivers don’t have a lot of experience. Florida commercial driver’s licenses are only required for drivers intending to transport either vehicles over 26,001 pounds or more than 15 passengers. In many cases, the driver may simply be a volunteer or someone with minimal driving experience. The NHTSA recommends only experienced drivers familiar with the handling of larger vehicles operate passenger vans, but there are no legal requirements. Another major problem with passenger vans is the fact that far too many have improperly-inflated, old or worn tires. A recent survey by the NHTSA indicated one-third of all passenger vans on the road have at least one under-inflated tire. This puts those on board at serious risk. Part of the problem is tire pressure varies between front and back tires. And tires routinely degrade over time. This is why federal regulators urge operators to check before every trip to make sure the van has the right-sized tires that are load-rated and properly inflated. Spare tires should never be used as replacements for older tires. What’s more, manufacturers of passenger van tires recommend any tire older than 10 years be replaced. Make sure the passenger van is regularly maintained and that drivers are licensed and experienced in operating larger vehicles. Have the vehicle routinely inspected according to the recommended schedule of the manufacturer, and repair and replace parts as needed. Make sure the vehicle has the right-sized tires and that they are load-rated. Check tires for signs of wear, damage and proper inflation before every trip. Always wear a seat belt when aboard a passenger van.